I often use this blog as a sort of garden journal. It helps me to know when it might be time to harvest something that is down in the woods or a car ride away. It also reminds me of the weird years. This is one of those. I walked around looking at what was going on out there. I still want to get down into the woods and check on some of the early spring plants but it's been very wet. Hopefully it will just get cold the way it is supposed to, and that will be that. Nettles have never stopped sending up baby plants since the weather cooled. The catnip is taking over a section of the garden. Guess we'll be needing it. I think this is clary sage - maybe borage - but there are many similar babies coming up in the area where both live in the garden. The thyme is lush and beautiful! This is chickweed overtaking small 2 or 3 year old firs. Chickweed really seems to love conifers. There is always at least one violet in the side yard. Native foxglove is very happy with this weather. I didn't include the comfrey that continues to put out leaves that are then frost burned, then more new ones each time we see the sun. I didn't include the mugwort that is coming up everywhere. Or the tiny leaves on the elderberry bushes. We are all aware of the many bugs and viruses that just keep going around and around, unphased by the meager cool breezes. I don't want to think about ticks, mosquitoes, and stink bugs. I hope it will get very cold, very soon. As I’ve been studying herbalism it’s been surprising to see men and woman my age falling in love with things like kombucha and kefir. While these are things that still make my spine shudder a little – still not having gotten over my pre-school fears from watching my mother and aunt brewing them - I’m glad to see recipes for shrubs, switchels, and oxymels have made a delicious comeback. But these drinks are not just something you pay almost $10 for at a fancy gardening expo or vegan café, Han has made recipes for these tasty concoctions that are simple and easily customizable for anyone with possible diet restrictions. Many of you have made plenty of fortified wines and tasty vinegars, and I’m sure others could use some introduction courses. Han explains what each drink is and a bit of history on it before elaborating on different tastes and recipes. She also explains the importance of cleanliness when making your drinks. One example was kefir. I had no idea that when you are making multiple batches they must be several feet away from each other or even in different rooms so they do not cross contaminate. Depending on the recipe you may also want to avoid using glass containers. For sodas they may burst under pressure from all the bubbles, plastic is often best to avoid any messes or glass shards in your kitchen. I was happy to learn from Han’s example and not from mopping my kitchen three times. Switchels, Shrubs, Squashes, and More! Han has both classic recipes and modern ones she has created on her own. A few of them are old favorites while others I cannot wait to try this holiday season. Cranberry Mors looks like a perfect nonalcoholic drink for Thanksgiving this year. Mors, as Han says, was first published in a Russian Homemaking book. To make cranberry Mors you mix cranberry with water, mash, and then add lemon juice and honey. Chilled or hot with mulling spices can be a perfect beverage. Han also has the perfect recipe for when you’re not feeling too hot. 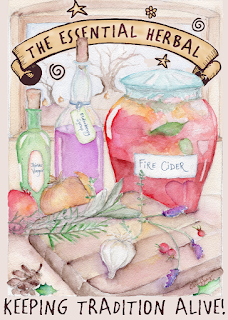 A fire cider Hot Toddy is perfect to add some heat to your toddy when you have a cold or flu. By combining hot water, liquor, fire cider and honey together you can have a comforting beverage that can warm you up and tuck you into bed so you wake up feeling refreshed and nourished. Mixing fresh ginger, sugar and water you can make the perfect carbonation for homemade tasty sodas by mixing these ingredients in a plastic pint glass covered with a cloth and secured with a rubber band. These descriptions are not exact recipes for the beverages discussed. 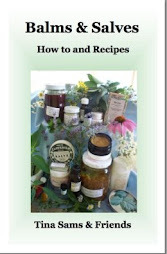 To get more precise recipes you can buy the book from her website. 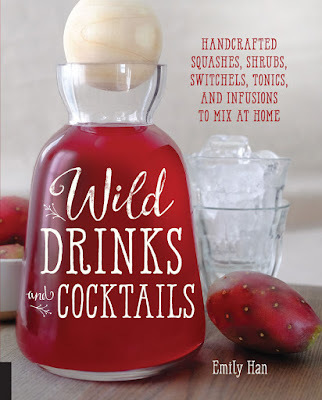 While there are plenty of wonderful ideas for beverages on the Internet (Heavens, just look at our Pinterest) this book gives you plenty of valuable tidbits of advice that cannot be found on any board, pin, or link. 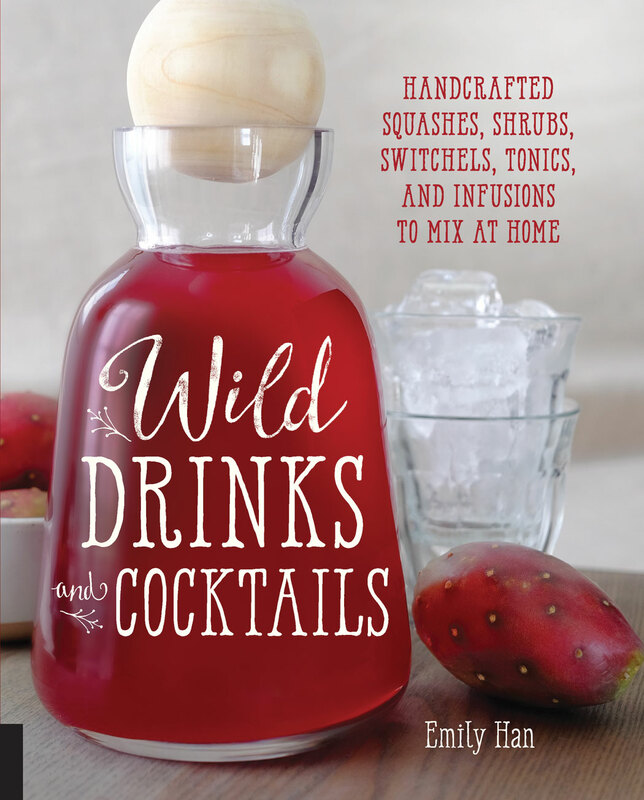 The love and experience Han put into Wild Drinks and Cocktails gives her reader’s the confidence and know-how to create truly unique recipes and duplicate classics to find ways to make them perfect for their friends and family. So go forth and mix! It took longer than we'd hoped, but it will be worth it. Carey Jung's gorgeous artwork ready to wear! All Fire Cider shirts that have been or will be ordered before they arrive at our door will be shipped out with a gift in exchange for your patience. It will be something like a bar of soap or a notepad. Maybe some incense. They'll make great gifts too. 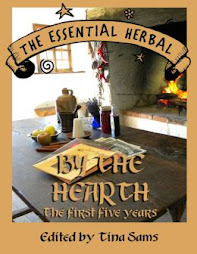 and all kinds of our books, soaps, teas, incense, bath and body, and remedies. 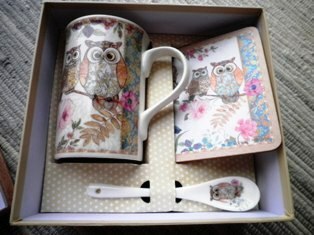 Visit our website for a little stroll through our shop and get some of your shopping done ahead of the rush. Orders over $100 ship free, too! I've been wanting to make these so that I could add photos to this post, but that's not going to happen right now. 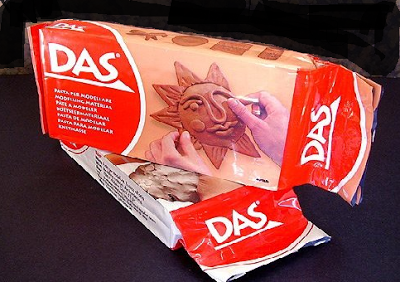 If you have a craft store nearby, it is possible to get air-drying clay that comes in either terra cotta or white. The clay is great for aromatherapy jewelry because it will absorb drops of the oil and last for a good long time. 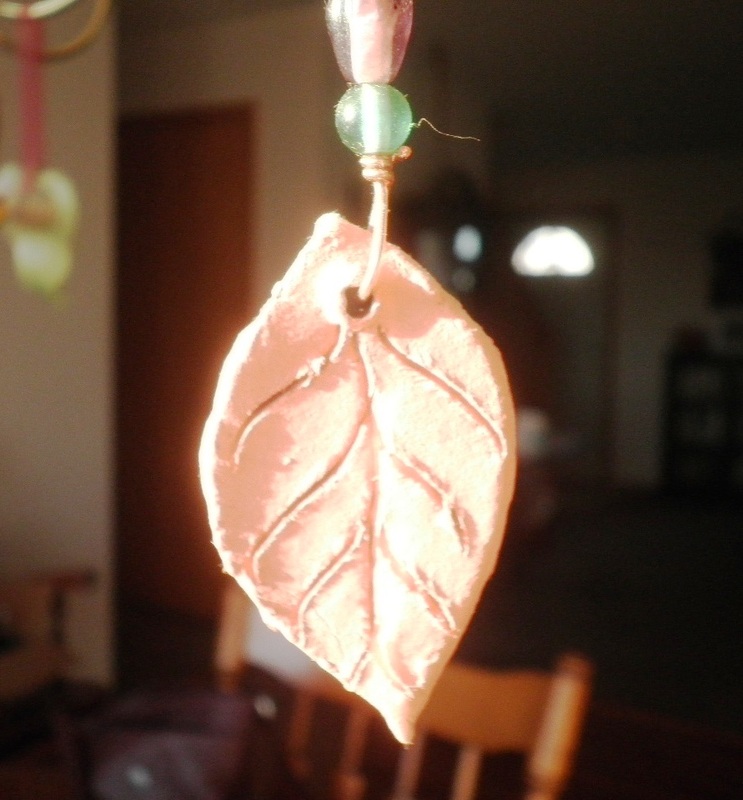 You could make any kind of beads or pendants, depending on what you'd like to make. 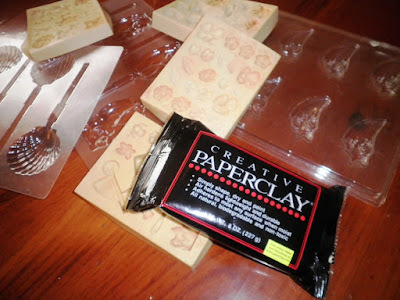 You can find really interesting molds with the clays at the craft store, or in the candy making section. 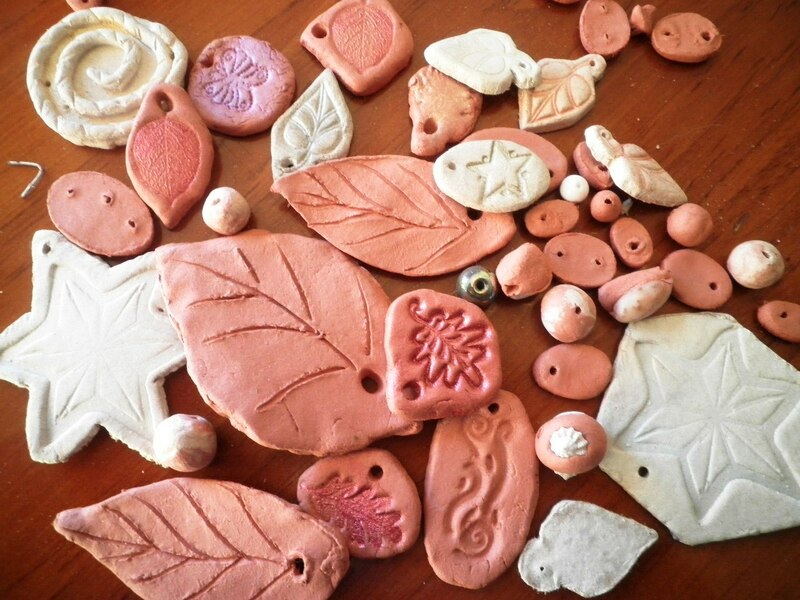 Another cool way to use this clay is in a potpourri blend. We always collect seashells, beach glass, and pebbles whenever we visit the beach. It is beautiful, but there is nothing porous to hold and fix a scent. For something like this, I'd choose the white clay and either use small clam shells as molds, or make small plaques that would allow me to carve words into them, like "beach", "breathe", "wish", or any words that might be meaningful to you or a recipient of this type of gift. T-shirts, blood clots, and scans - Oh My!!! Well this has been a week. At least that's what they tell me. Once again, I get to be a warning for others. This seems to be the true reason for my existence. First let me tell you about the t-shirts. I put these on sale about a week ago. 10% of the sale price ($21) goes to FreeFireCider.org. On Monday morning, the local t-shirt printer CHANGED THEIR MIND and said that the employee who quoted and accepted the job didn't know enough about it. I don't even know enough swear words to say how I feel about that. They did give me another possible source, and I was able to swiftly rescue the project although their required minimum is much higher. Get your shirt today! So let's talk a little about blood clots and the lungs. I feel very lucky to be sitting here writing. A little over a week ago, I got up from writing, and felt a very sharp pain at the top of my thigh. So sharp in fact, that I considered the possibility of a broken hip and needed to use a cane for a couple days. *Naturally* I decided to wait a few days to see if it would resolve before calling a doctor. Because I'm an idiot. It did not occur to me that it was my femoral artery until much later. It did resolve. About that time, I became short of breath. At the time, I made no connection between the two things. Over the next few days, that intensified until Saturday I found myself in the middle of the grocery store wondering if I'd make it to the car (or to the end of the aisle). At home, I looked up walking pneumonia (seated in my usual cross-legged position in front of the computer), but there was no fever. Other than the inability to catch my breath after any exertion at all, I felt fine. I made a super concentrated lung syrup, and took it often. Nada. Sunday we had a 2 year old over for the day, and I promised my family that I would call the doctor in the morning. Cooking dinner meant many, many breaks of sitting to catch my breath. I really figured that my life-long battle with tobacco had caught up with me. I have quit many times, and fallen off the wagon just as many times. It can be a very difficult thing. I no longer smoke, but there were a lot of years... In a lot of ways, the dread of what would be found kept me from making an appointment earlier. The doctor got me right in on Monday, and so began the blood-letting and scanning and testing. They eventually sent me home with an inhaler, but a few hours later called to let me know that the blood test results showed a high likelihood of a blood clot in the lung, and a CAT scan was scheduled for a few hours later. From that moment on, life was no longer in my control for a few days. I will spare you all the details, but there were clots in both lungs. What stands out for me is 3 days on a clear liquid diet (that nobody could really give a reason for), an alarm on the bed, so they knew if I got up, and learning that it is possible to fall asleep during an MRI (I am very claustrophobic) with enough sedation. Chicken broth for breakfast. Seriously. And lunch. And dinner. Blood tests every few hours to get the blood thinner just right. It could have been a horrible experience, but A) everyone was kind and gentle and B) I was alive. This could just as easily have resulted in sudden death or a stroke. We are ALL spending a lot of time on the computer these days. We forget to take breaks. One of the doctors told me that stretching the calves with "toes toward the nose" - sort of the opposite of pointing the toes - releases a natural blood thinner, and doing that simple exercise 100 times a day is all the typical person would need. If you have a sharp, debilitating pain, see a doctor. If you suddenly find yourself short of breath, see a doctor. 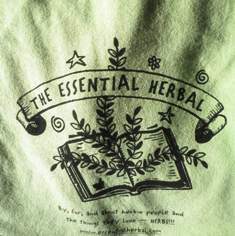 To my herbie friends... you can't fix everything with herbs. I'm going to be fine. If one person reads this, retains it, and makes that call, it will have been well worth the time spent writing it. Step One: Find some funky fabric and make a bag. You can make other shapes like a heart, star, or kitty depending on what you or the recipient would like. I picked a basic bag pattern because I'm not the most talented seamstress. Step Two: Pick the herbs for the sachet. I picked chamomile, pink rose petals, and a bit of lavender. I've found in terms of lavender a little goes a long way. These three herbs smell nice together. In a drawer or closet, it will keep clothing smelling fresh, with the added benefit from the lavender being a great moth repellent. Kept by the bedside, it would be relaxing. Step Three: Put the herbs in the bag. A canning funnel can be very helpful. Step Four: Fold the ends in to the top of the bag and sew it shut. Be sure to give the herbs some space in the bag to move and breath. This will help it stay fragrant longer. Step Five: Make it pretty! Optional: Add a few drops of an essential oil to enhance the scent. 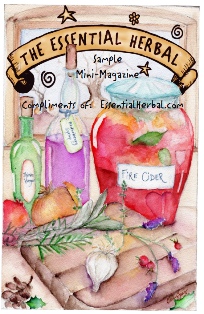 Many other fragrant herbs can be used, depending on purpose. To make these as tree ornaments or gift tie-ons, use a fine organza fabric so that the herbs are visible, and sew a ribbon loop into one of the seams so that you have a hanger. Pre-made organza bags with draw-sting tops are available from many outlets, too. As you all know I have been interning at The Rosemary House for quite some time. There are many a perk to working with Susanna every Wednesday. One of my favorites is being able to help her review classes before she actually gives the class. Last week the class was all natural cleaning products. While I knew a few things, Susanna (as usual) showed me there was so much more to the subject than orange oil and a prayer. My personal favorite was the soft scrub she created. As someone who has lived in many a college dorm room and a cookie factory in Brooklyn (that’s not an exaggeration), you have no clue how thrilled I was to find out a soft scrub existed that didn’t reek of chemicals and burn my hands. 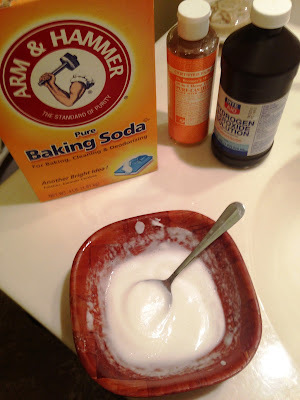 By mixing hydrogen peroxide, baking soda, and castile soap I was able to make my shower sparkle, my toilet bowl shine, my kitchen sink look new, and even give my refrigerator a facelift. This stuff was nothing short of amazing and I’ll be sure to always have some in my home from now on. Susanna’s favorite was another concoction I would have never guessed would work as well as it did. Mixing distilled water, white vinegar, castile soap, and a bit of essential oil, Susanna was able to make a wonderful all purpose cleaner that made my bathroom and kitchen floor shine. There were plenty of tidbits throughout the class that I was happy to learn. Hydrogen peroxide is apparently a Godsend that can clean the grout in your kitchen and bathroom floors, and can even clean your reusable grocery bags from smelly odors or gunk left from fruits and veggies. By using a spray bottle you can spritz the inside of the grocery bag, which will eliminate the odor and you can wipe away the mess after the hydrogen peroxide has had a few minutes to do its work. 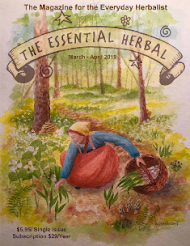 Working with my mother, aunt, and at The Rosemary House reminds me there is always something new to learn about herbalism and living naturally. I’m shocked by the fact that if you look, there are ways to be more natural in every facet of your life if they are not already there. So do yourself a favor and take a class, try a new recipe, or just drink a different tea. 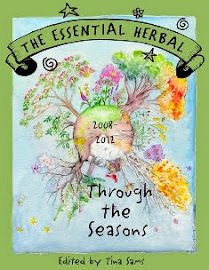 Learning more about herbs even in small ways can expand your knowledge of plants and life in general. If you’re as lucky as me it can also make your house smell great, too!